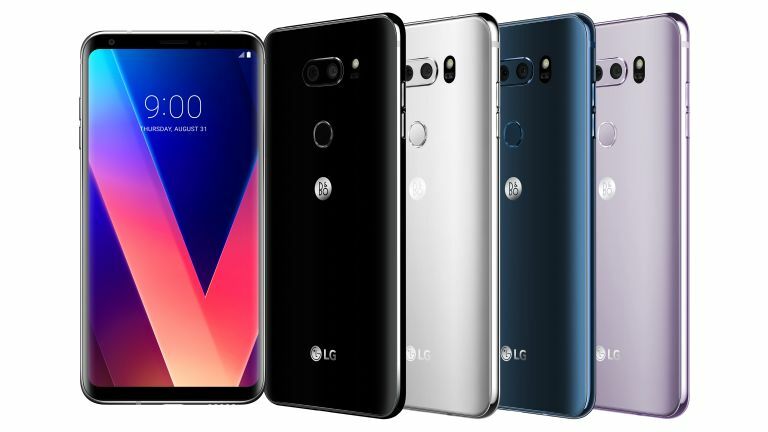 LG's V30 takes on Samsung's Galaxy Note 8 as well as Huawei's Mate 10, so it's a great phone that delivers a top mobile experience. You've got LG's dual camera set up on the back, with a 16MP and 13MP sensor to capture wide-angles and super wide-angle shots. The screen is the key feature though - it's a 6-inch 18:9 OLED FullVision display (yet, still manages to be 8mm shorter and 3mm narrower than its predecessor, thanks to the bezel-less design). The V30 comes running Android 7.1.2 Nougat out of the box, but you can upgrade to 8.0 Oreo immediately. Audiophiles will be kept happy by the inclusion of a 32-bit Hi-Fi Quad DAC and a set of earphones by B&O PLAY included in the box.